Holds embroidery unit, hoops, fabric, computer supplies, and fills pockets with sewing notions to your heart's content. The black top board can double use as a design wall, great for blocks. Interior: 27"L x 21"H x 5.5"D Exterior: 28"L x 22"H x 6"D. Ultimate protection, the walls are lined with durable honeycomb board and padded with high density cell foams. Two inside straps to secure your embroidery unit. Ultimate Protection: Manufactured from 840D ballistic nylon and features a fiberglass frame. 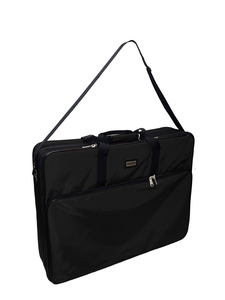 Front compartment: #6219EM-S has built-in organizer pockets for all your supplies. #6223EM-M, #6226EM-L & #6228EM-XL have large empty compartment to store hoops. Great companion bag: Carry individually with handle or shoulder strap. Also can stack on top of Tutto Machine On Wheels or Tutto Serger On Wheels. Thank you. I love it!!! Very happy with the product and thrilled with how quickly it came. Was also happy that my embroidery unit for this bag fit perfecty. 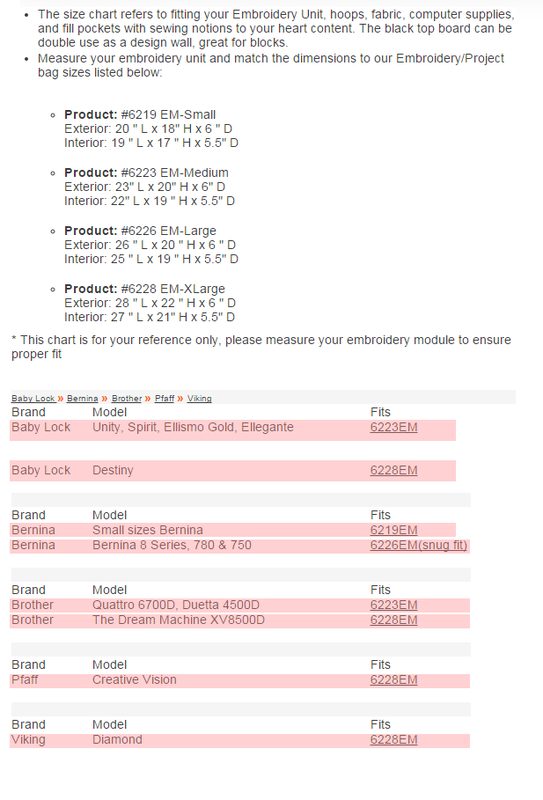 I looked at the Bernina bag and it was double the prices so very happy with your price. Many thanks!! I love the Tutto embroidery arm bag I ordered BUT it does not fit my Viking Diamond Royal embroidery arm as the website suggested - the case is too small for the arm to fit! !